In this article, I’d like to teach you a bit about background vocals. I love arranging and recording backing vocals… it’s one of my favorite things. They’ll be different for every song, because every song has different needs. Background vocals can do so much for a song, and it’s a challenge to come up with the perfect arrangement, one that makes your production of the song the best it can be. The number of ways background vocals can be sung is infinite, so in this article I’ll be scratching the surface of a huge subject. I’ll talk through some valuable options and use some commonly known songs as examples. But I’ll mainly focus on songs that have just a lead vocal melody, and discuss what to do around it—as opposed to songs that are conceived with vocal harmonies, like those of Crosby Stills & Nash, for example. What does the song need? First and foremost, remember—the song is king. The meaning of the song is what dictates the kinds of decisions you make in any production. You record the song in the style, tempo, key, instrumentation, and general vibe that not only fit it, but make it mean more to the listener and bring out the emotion of the song. Some work better as rock songs, some as folky ballads, some as bluesy productions, some as funky groovers. The same considerations are true for the use and treatment of background vocals. Remember, form follows function. Think about what the song wants to say, and how background vocals might help say it. Some songs may not want any background vocals at all! This is as important a decision as when and how to use them. A ballad about loneliness may have the most impact with one solitary vocal throughout. A song about love may want one harmony only with the lead, playing up that relationship. Other songs, particularly big anthems with lofty lyrical themes, might want a big powerful background vocal arrangement. Humorous songs may want fun or sarcastic background vocal arrangements. Some bands or artists want to make use of lots of tracks and overdub many vocals for a big-sounding production. Others want just the sound of what the core band can do live. Some songs want big, full-voiced choruses. Some want breathy, quiet harmonies. Listen to your production and focus only on what background vocals might do for it. Where does the lead vocal want support? Does it need harmonies all the way through, or just in certain sections? What spaces need to be filled in? What lines need to be accented? When should background vocals sing lyrics and when simply “ooos” and “ahhs”, syllables like “la”, or humming. How does the song build from beginning to end? This is an important decision. 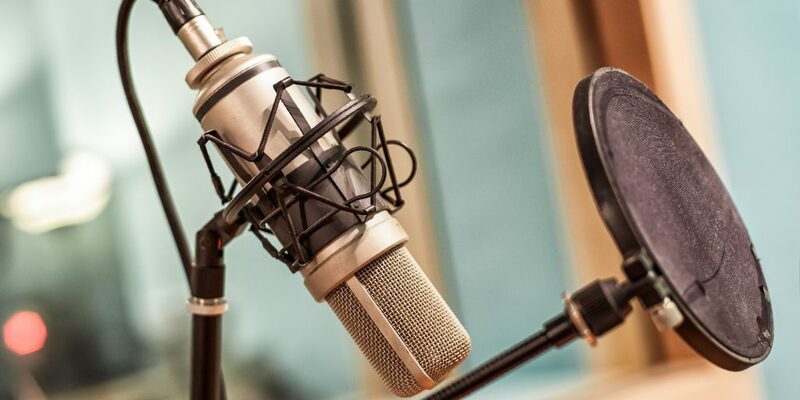 When you create a song, or when you’re listening to a demo for the first time, you may have an idea that background vocals are needed and where and how they might be used. But at what point should they be put into the recording? 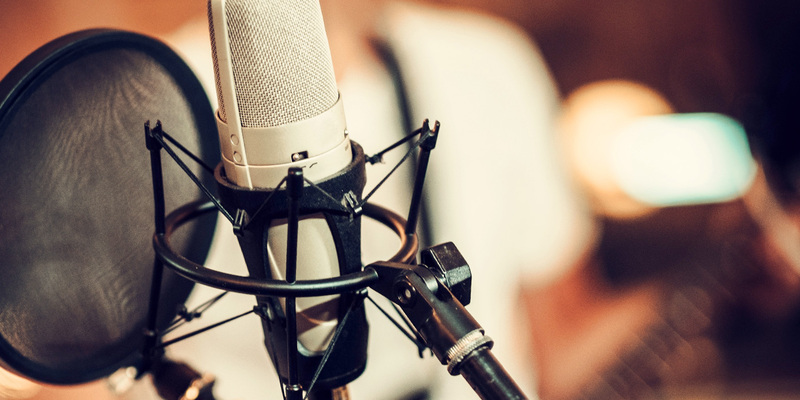 In some cases, the background vocals come to the recording process with the song and are such an integral part of it and how it was conceived that they must be among the first considerations. These should be recorded (at least as scratch) along with or soon after the basic instrumentation and lead vocal. This way, any overdubs or additions take them into account, either adding to them or staying out of their way, and the rest of the production is built around them. These instances are usually obvious. In other songs, particularly those in which it has not yet been decided what background vocals might be needed, if any, I like doing background vocals last, after the rest of the production is recorded and the lead vocal is finalized. I do this for two reasons: First, it may not be clear what the song needs until the end, and second, the background vocalist(s) may be harmonizing with the lead at times, and those harmonies must match the final vocal. In cases where the background vocals are the icing on the cake, it’s easier to see what function they will perform when the production is closer to finished. If all of the instruments have been recorded and there’s still something missing, background vocals may be just what the production needs. I like to listen through the song, after not hearing it for a day or so, making notes of places where something needs to happen. Then I’ll go back and try some things out in those sections. Once I’ve tried something, I listen again. Did it work? Did it get better? Would something else work better? Would nothing work better? • Let the lead vocal be by itself in the first verse and chorus. Since this is the first time a listener will hear this melody, letting them get used to it by itself first allows them to know what’s being harmonized later. • In the second chorus bring in simple background vocals, either harmonizing lyrics, or singing oos or ahhs. • Throughout the bridge have the back-ground vocals doing something supportive—again harmonizing lyrics, or singing oos or ahhs. Since the bridge is often a bit of a departure from the rest of the song, these background vocals can often be used to create an atmosphere that is distinct, one that sets the bridge apart in a cool way. • In the last verse add a few harmony lines. Now that the listener knows the melody, it may be time to embellish. These can be used to keep the listener interested, or add emphasis to particular lines. • In the last chorus, bring back the same background vocals as in chorus 2. But maybe double them, or add a new line to counterpoint what’s already there, thus making it bigger than previous choruses. From a whisper to a roar? How close to the mic do you want your background singer(s)? If what you’re after is a soft, breathy harmony vocal, you may want the singer(s) right up on the mic. If so, then use an omni mic to avoid the bass boom you get from directional mics at such close proximity, and take care to isolate the singer(s) in all directions when using that omni-directional mic. When you mix these breathy vocals in, you may add a bit of reverb to help them move to the background, or add atmosphere. Background vocals like these can often sit close to the lead, sharing similar effects with the lead, and be very effective. If, on the other hand, you are trying to capture big, full-voiced background vocals, allow your singer to move back off of the mic and belt it out. Allow a bit of the room sound to get into the recording. This can add some authenticity and a cool vibe. As the producer, it falls on you to let the vocalist(s) know what to do. Most performers need the benefit of another set of ears. In the control room, you have a better perspective than those singing. And often they don’t know if what they’re doing isn’t working. Sometimes a person singing a background vocal doesn’t hear that the style in which they’re singing is more “lead” than the lead! Sometimes a bit less vibrato (or none) can help. Other times singing less full-voiced, more breathy, or in a falsetto (even if the pitch isn’t very high) can yield the right vibe. Feeding them some notes, suggestions on vibe, and rhythmical ideas, and then hearing what they do with those can be a good strategy. Have the singers pay special attention to things like note length, when exactly to come off a note and how, and if a long note ends with a sharp consonant like a T or K that they can’t seem to hit exactly in sync, ask all but one singers to simply not sing that consonant. One will suffice, better than three conflicting ones. Doubling any vocal, lead or background, can add girth and vibe. It’s a great tool, and it has a particular sound. Doubling background vocals can give them a fatness that is very satisfying. But it can also make a production sound very different, and in some cases too big! The best way to figure out whether it will work to double the vocals is to try it. In some cases just a doubled lead vocal is all that’s needed! Consider The Beatles’ “Something”. There are fully harmonized lyrics in the bridges and some harmonies in the last verse. But the choruses are only a doubled melody vocal! Way cool. And what if you’re looking to build a choir out of only a few singers? Doubling, tripling, quadrupling and more can work great. 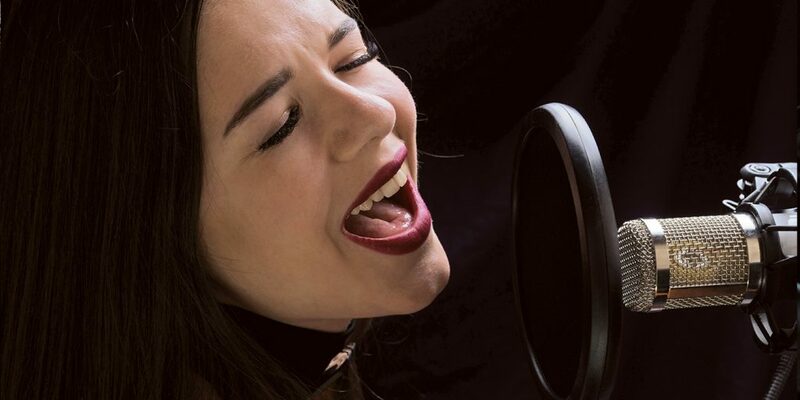 In these cases, it can be effective to have your singers change their voice a bit from take to take, use falsetto on one or two, move their voice back or forward in their throat, or swap mics between takes. This way, it is less obvious that it’s only a few singers, and doesn’t sound as homogenous. On the other hand, there are times when this homogenous sound can work for you… consider Queen’s “Bohemian Rhapsody”. Enough said. When singing harmonies—solo lines in verses, or multiple harmonies in bridges or choruses—it’s important to pay attention to what the chords are doing. This is especially true in songs with fewer vocals, like just a lead vocal and one harmony. I’ve noticed that many background singers tend to simply harmonize a third above the melody, singing parallel to it no matter what’s underneath. But this can clash badly with the chords and make things sound less than stellar. Singing a third above the melody can be awesome, but listen to what chords are being implied by that harmony, and be sure it matches the chord you’re singing with at every moment. In some cases, changing the harmony up or down a half tone or so outside of that parallel third is necessary. Sometimes leaving a note hanging a bit longer, past where the melody changes, or using pedal tones (singing a one-note harmony on a note that’s common to more than one chord throughout a section) can yield great results. But you may need to alter notes here and there to be sure all is well. A great example of all of this is The Beatles’ “Nowhere Man”. As the harmonies move through the verses, they are not completely parallel to the melody, but rather move with the chords—to the extent that when the song starts a cappella the chords are all there! In particular, check out the lower harmony in the verses! For an example in a completely different style, listen to almost any Gillian Welch song. David Rawlings, her brilliant guitarist and harmony singer, is a master at picking out the right harmony notes to match the melody and the chords, also to add meaning, emphasize a word, phrase or note, and just to make the song more interesting. The voice is an amazing instrument. And it can be used in so many ways. Oos and ahhs can add something wonderful to verses or choruses. (Check out the Beatles’ “Oh! Darling”, in the second half of each verse. Listen to the harmonies used. Listen to where they come in!) Doing big doubled oos and ahhs make a great pad in the right song. But unlike any other instrument they can include lyrics, and not necessarily the same ones the lead is singing, which makes them a great tool! Adding harmonies to the lead vocal, singing the same lyrics at the same time, as we all know, sounds awesome. But you can also fill in space, add energy and emphasis by using the same lyric sung at a different time, for instance an echo. Or use completely different lyrics sung in counterpoint to the lead vocal. A great example, and one with which we’re all familiar is The Beatles’ “Getting Better”. In the first verse, the lead vocal sings “I used to get mad at my school,” and the background vocals answer “No I can’t complain.” And in the Chorus, the lead sings, “I’ve got to admit it’s getting better,” and the background vocals sing “better” in a longer, drawn out way. Then the lead sings, “A little better all the time,” and the background vocals sing “It can’t get no worse.” Brilliant. This can be a very useful tool in building the meaning of a song. In cases where the words in the lead vocal are not saying a lot, or repeating a short phrase, the background vocals can say something different and add meaning to the lyric as well as interest to the arrangement. As in the above example, using a combination of harmonized lyrics and oos and ahhs can make a good song sound way better. Throughout this process, it is important to keep in mind that you are dealing with the human voice. Yes, it is an incredible instrument. It is also something to which listeners are particularly attuned and sensitive. If it is not treated with care, listeners can be turned off by it. Keep this in mind when arranging any background vocal part. It ought not to be trampled on by or clash with other things in the production—especially not the lead vocal! Some arrangers prefer to have the background vocals mimic or sing the same notes as another instrument is playing. This way, there’s not too much harmony happening, which can be confusing to a listener. But however you do it, in addition to thinking about what notes the background vocals sing, so that they match the chords, think too about what rhythms, styles and dynamics are happening in the other instruments, and be sure that the background vocals fit with these. And, as with the lead vocal, each vocalist has their own set of talents, limitations, stylistic leanings, and points of view about music and their own abilities. Aspire to being a producer who knows how songs, productions and particularly background vocals work, and being someone who can listen to ideas and make suggestions about them, or come up with completely new ideas. Then you need to be able to communicate them to artists and singers, in a respectful way that keeps everyone happy and excited about the direction the song is heading. That is a worthwhile talent to develop! As with how to use background vocals, how to mix them is also a big subject. Some producers like them way in the background. Some like them as up front as the lead. Some songs call for one or the other in an obvious way. Others take a bit more experimentation and thinking. Figure 1. Note that all 6 bg voc tracks are sent to Bus 1–2; the input of the Aux IN is Bus 1–2; there is a send on the BG VOCS SUB to Bus 3–4; and the input of the sec-ond Aux IN, the VERB, is Bus 3–4. One way to check out how all of the vocals are working together is to solo them. Some of the tracks may need their volume ridden, so that no words or lines poke out. You’ll also hear where words or consonants don’t line up, and where an edit or two may be needed. Once you’ve got the individual tracks working well together, put them back into the mix and see where they should sit. Compression is a great tool to help the background vocals sit well. Don’t be afraid to try hitting them a bit hard to find where the limits of effectiveness are. Often they can take a good deal of compression to help them sound great, to help all the words and parts be audible, and to help them sit just right. After compressing them, you may find they can be turned down a bit more and still be heard. EQ can also be effective in making your background vocals sit well, or speak more in the mix. Again, soloing the background vocals and the lead is a great idea. This will tell you whether you’re hearing the lead clearly and, if not, how to bring it in front of the background vocals in the best way. Adding some high end to multiple background parts can help add air, roominess and reality to them. Taking out some lows or low mids can often clean up background vocals, and as a result the whole mix. When there are more than a few background vocals, I tend to use an Aux In channel in Pro Tools as a sub for all of them. This way, by soloing that channel, I can easily hear what they are doing at any point. 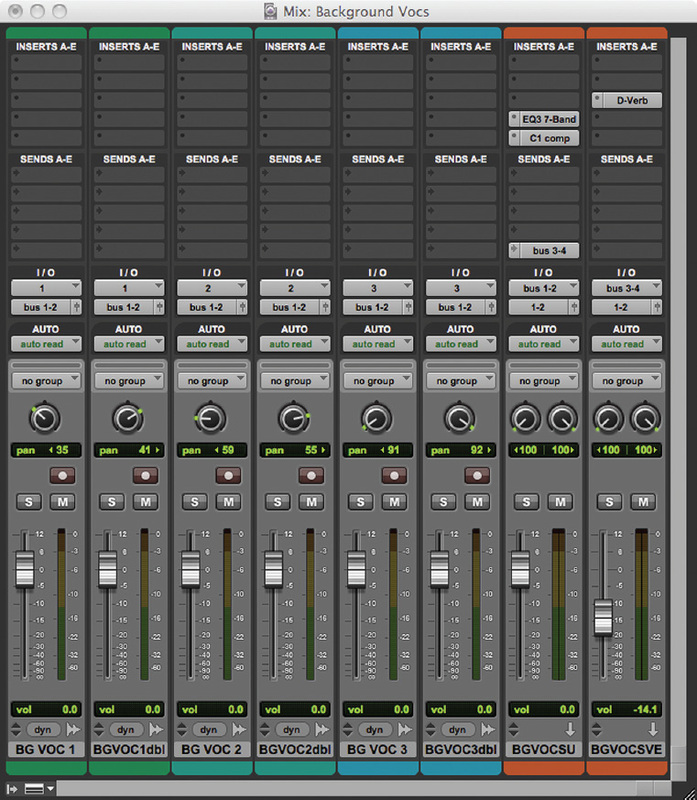 And I can use one set of plug-ins on all of the background vocals at once, and turn them all up or down with one fader. Also I can easily send that whole mix to a reverb or delay, rather than sending each individual track there. (See Figure 1.) This can be particularly useful when there are lots of vocal tracks! Again, I tend to listen a lot, and on different systems, to figure out how the back-ground vocals blend in. Giving it a day or so without hearing the recording, I’ll listen straight through and take notes about how the background vocals are sitting. Then I’ll go back through and tweak those sections or lines and listen again. As usual, experimentation with some of these ideas is key to figuring out the best way to use them. Have fun and rock on!